M.R. Vishnuprasad is a young poet and performance art researcher currently based in New Delhi. He received a fellowship from Ministry of Culture, Govt. of India in the field of Folk/Traditional and Indigenous Arts in 2017. For the past twenty years he has been writing poetry in Malayalam and is credited with two anthologies. With a postgraduate in environmental sciences, Vishnu is currently pursuing his PhD in theatre and performance studies in Jawaharlal Nehru University, New Delhi. Vishnuprasad’s intervention in art is a tripartite synthesis of poetry, ecology and performance art. Neelamperoor Padayani is a ritual festival held at Neelamperoor, Kuttanadu taluk, Alappuzha district, Kerala. It is a fifteen-day long festival in which various effigies of human and nonhuman figures are created and performed. There are different kinds of performances in Kerala and Neelamperoor Padayani is the only kind of Padayani which makes effigies instead of performing dances using masks and headgear. 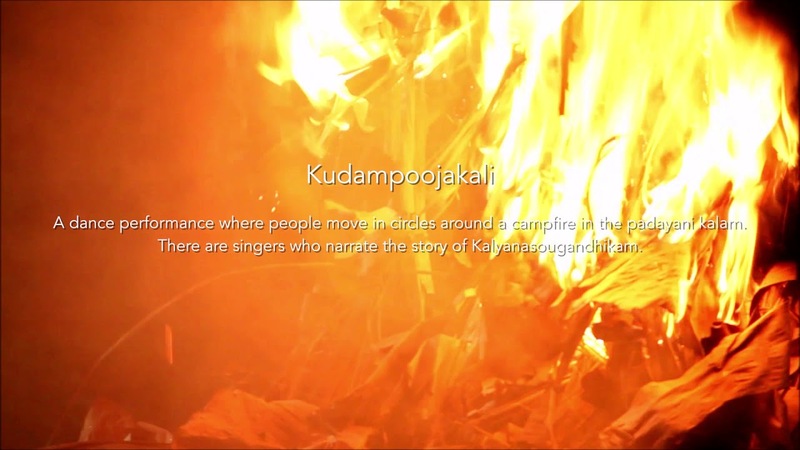 This video portrays the ritualistic elements of Padayani as carried out at different points of time.